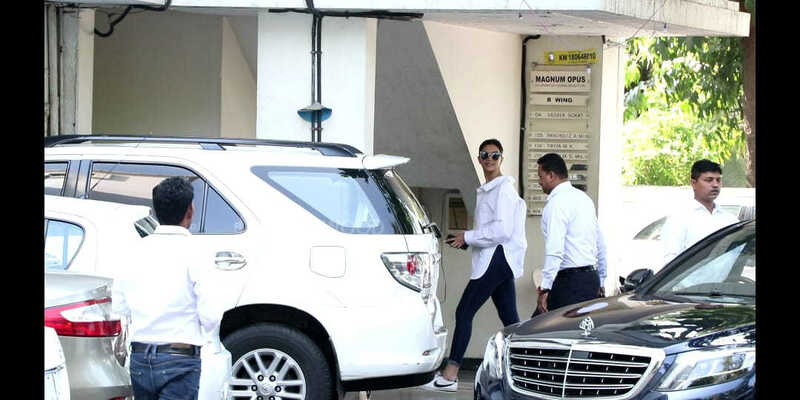 Ranveer Singh was spotted outside Sanjay Leela Bhansali's home in Mumbai. 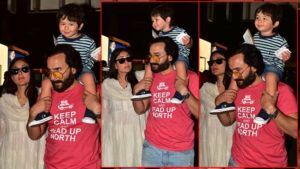 The actor who is tying the knot with Deepika Padukone had come with her to hand over their wedding invitation. 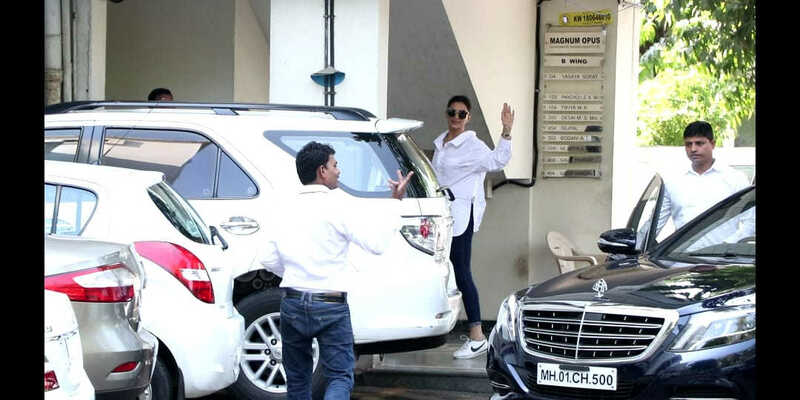 Deepika Padukone looked lovely in a white long shirt paired with black pants and black sunglasses. 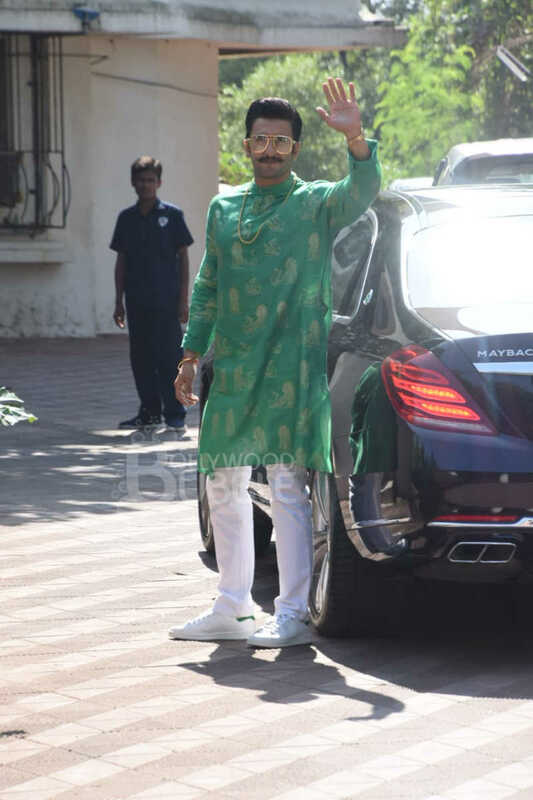 Ranveer was all smiles as he waved to the shutterbugs. 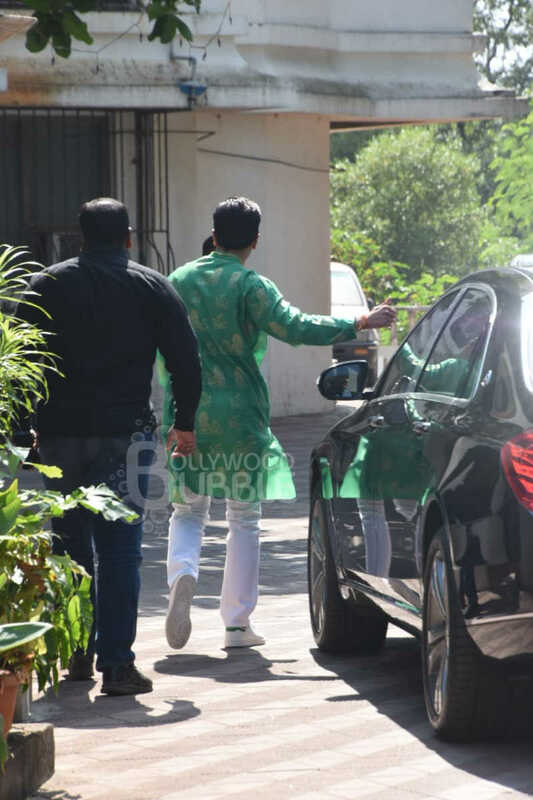 The actor came in wearing green kurta and white pyjamas. 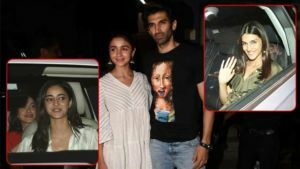 The duo will host two receptions in Mumbai and Bengaluru for their family and friends post their wedding.